There’s no question that choosing to undergo breast augmentation will change your life. It will improve your body shape, confidence, self-esteem, and even the way your clothing fits. But, many wonder if they will still be able to do certain activities following this surgery. There’s no reason your daily morning yoga routine should have to stop simply because you now have a larger chest. 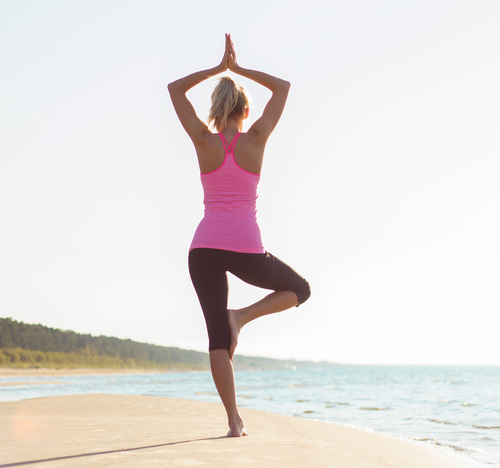 Although you’ll be able to continue doing yoga after breast augmentation surgery, there will be a recovery time in which your physical activity will be limited. Initially after breast augmentation surgery, there is a period of recovery time where you will need to follow certain instructions. This will vary distinctly from patient to patient due to individual health as well as implant type and placement. Most patients can return to normal work within one week; however, returning to more strenuous activities and exercises will require a longer waiting time. As you meet with Dr. Dubrow, the two of you will discuss your situation, and he will recommend a certain amount of time to wait before exercising again. This waiting time may be a period of several weeks or more depending on your unique situation. When Can I Resume Yoga? While Dr. Dubrow will be able to offer personalized advice and doctor recommendations for your needs, the best general advice is to follow his professional instructions to ensure that you heal properly after surgery. When you are given the go-ahead to return to exercising, including resuming yoga, pace yourself. The basic recommendation is to wait six weeks after surgery, but if by six weeks you are still sore or swollen, you may need to put off doing yoga for a little while longer. As you follow Dr. Dubrow’s postoperative instructions and as your body heals, you will be able to tell when you will be ready to incorporate yoga into your routine. Will I Have To Change My Yoga Routine? Having breast implants should not limit what you can do with yoga. As you pace yourself in reintroducing various yoga positions and practices, eventually you should be able to resume them all. Certain activities such as bouncing or other more strenuous yoga exercises should be reintroduced at a later point. While adjusting to yoga after breast augmentation, the only real challenge will be in relearning balance. Your body proportions will be differently weighted from then on, and so there will be a small adjustment period. But if you follow Dr. Dubrow’s recommendations during your recovery and you pace yourself as you reintroduce yoga into your routine, you should have no trouble getting to the point where you can do as many sun salutations and warrior poses as you want. For more information regarding breast augmentation surgery, post-surgery recovery, or any other service we offer at Newport Heights Medical Center, we encourage you to schedule your consultation with Dr. Dubrow. Call us today at 949-515-4111 or fill out our online contact form today. Namaste!